One of the most influential drummers of all time. Known for his work with Frank Zappa, Missing Persons, Mick Jagger and Jeff Beck. 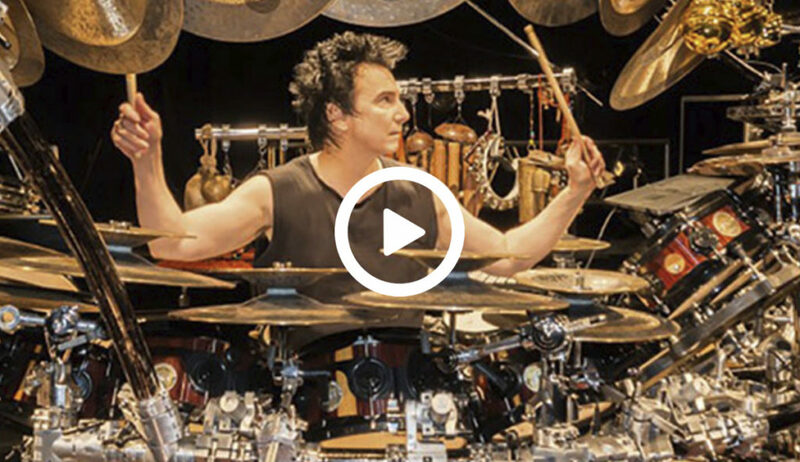 Terry Bozzio, is an American drummer, widely known for his work with Frank Zappa, Missing Persons, and for his advanced Ostinato-based drum solo compositions. He studied at the College of Marin, and later, in 1972, played in local jazz bands, and became a regular in the Monday Night Jim Dukey Big Band at San Francisco’s Great American Music Hall. He joined Frank Zappa in the beginning of 1975, with whom he recorded 26 albums, including a number of his most successful ones: Foot Allures (1976), Zappa in New York (1976), Sheik Yerbouti (1979), and Thing-Fish (1984). Bozzio’s work on Zappa’s ”Black Page”, should also be listed, a composition considered to be the most difficult to play, originally written for the drum kit and melodic percussion. Late 1978 he briefly joined UK, recording Danger Money (1979), and the live album Night After Night (1979), before in 1980 co-founding the band Missing Persons, with which he recorded the albums Spring Session M, Rhyme & Reason, and Color in Your Life. Bozzio has worked with several artists, including Herbie Hancock, Mick Jagger and Jeff Beck. For the latter, Bozzio teamed up, co-wrote, performed, and-co-produced the Grammy Award winning album Jeff Beck’s Guitar Shop. Since the mid-1970s, he has been a prolific sideman on numerous releases by other artists, beyond his bountiful solo work. Terry Bozzio sits down with Chris in his studio in California, and shares: music through the genes, coming from a musical household, how he got bongos when he was ten, The Beatles, drumming, talent, practice, learning, teachers, education, studies, curiosity, dedication, patience, preparations, physical, dynamics, perseverance, inspiration, influences, reading, stick control, aspect of permutation, comprehension, coordination, innovation, improvisation, variations, expressions, repertoire, linear melodic beats, technique, the Ostinato concept, harmonic elements, directions, sounds, composing, recording, performing, challenges, pressure, respect, experience, humility, credibility, recognition, drum clinics, rigging the drums, technical masters, motto, jazz, classical, rock n’ roll, UK, Frank Zappa, Group 87, Missing Persons, Jeff Beck, juicing, and more. Sign up for bonus material.